If I can read a map correctly—a sadly hit-or-miss affair for me, I’m afraid—this is Ahwiyah Point, a smallish rock right in front of Half Dome. This picture was, obviously, taken just before sunset, when the light is bright and golden. 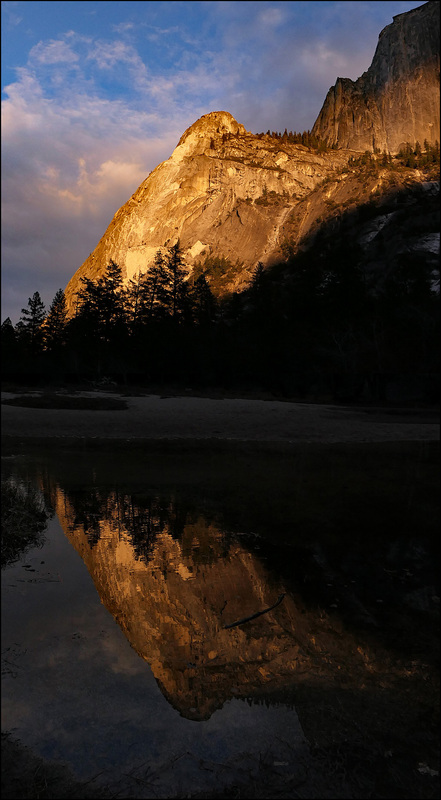 The reflection is from the dregs of Mirror Lake. There’s not much of Mirror Lake to see in the winter, but there’s just enough to produce a nice image.